CD (63 min. ): Route 66, Hand Of Fate, Crazy Mama, Mannish Boy, Crackin’ Up, Dance Little Sister, Around And Around, Worried About You, Let’s Spend The Night Together, Band Introduction, Little Red Rooster PLUS: Crazy Mama (incomplete acetate), Mannish Boy (edit master), Crackin’ Up (original master). The 300 radio station contest winners who crowded into a dozen buses bound for Toronto’s El Mocambo Tavern one March evening in 1977 began booing when they thought they wouldn’t be seeing the club’s headliners, April Wine, after all. Also on the bill that night was some opening act called The Cockroaches. They didn’t know until minutes before they pulled in around the back of the club entrance – where a mobile recording truck helmed by producer-engineer Eddie Kramer (Jimi Hendrix, Led Zeppelin, Traffic, etc.) was also surreptitiously parked – that the moniker of those reviled household pests supposedly opening the show was a sly ruse. In fact, while they too may have been reviled pests in the households of parents, churches, and public institutions of decorum a decade earlier, the actual identity of these Cockroaches was a slightly better known outfit named The Rolling Stones. The band, it turned out, had been in town for the better part of a week staying at the Harbour Castle Hilton, where, it seems a safe bet to say, there were none of the little critters haunting the Stones’ hotel rooms. (Critters of a different sort maybe). (As an aside, infamously, this locale is precisely the spot that could have marked the beginning of the end for the Stones. In a far more serious drug bust than the one at Redlands that had come ten years earlier, guitarist Keith Richard was arrested for having 26 grams of heroin in his hotel room. That snowbank-sized amount was only intended, Richards would later helpfully explain, to allow him to maintain his habit for the five to six weeks he expected to reside in Toronto. Following his arrest, however, Keith was facing a possible mandatory invitation by the authorities to stay on far longer than his anticipated visit). 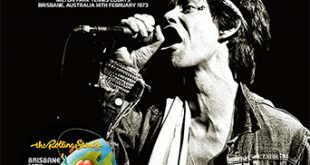 Indeed, the Stones seemed in a randy, rowdy mood when they hit the El Mocambo stage on March 4th and 5th for a pair of secret shows (although how the second night’s concert could have possibly been kept a secret is beyond logical explanation). Both were to be professionally recorded for inclusion on the group’s “Love You Live” double live LP documenting the band’s 1975-76 U.S. and European tours. A handful of those Mocambo tracks, which appeared on the standout Side 3 of the double album, were easily the highlight of an otherwise soggy double live LP sprawl, and it quickly triggered a thirst for more material from those shows over the years. So far, roughly a dozen separate unofficial CD (and some LP) El Mocambo titles have surfaced, many during the past five years when, presumably, an acetate of a good chunk of the March 4th show began making the rounds. This is where the gold-standard Goldplate label’s superb “Live at the el Mocambo” (GP-1605CD) comes in, especially for those who missed the No Label’s extremely limited run (100 copies only) CD, “El Mocambo 1977,” which it apparently sourced from another release titled simply “El Mocambo” by the Acid Project. 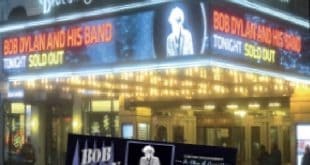 That latter label has, in short order, released not one but two versions of the show themselves, according to the Rolling Stones Bootleg Database (dbboots.com). Goldplate’s version, according to the website, duplicates the 2016 upgrade by Acid Project. As with Goldplate’s previous Stones releases, the label does a fine job of presenting a highly enjoyable, historically significant show matched with simple but era-accurate artwork: namely, a double-sided color tray card with a photo montage of the band on stage at the club; an inlay photograph; and back cover with track listing and personnel. In short, the no-frills packaging and straightforward presentation doesn’t oversell, or misrepresent, the music inside. It doesn’t need to. The Stones’ brand of no-frills rock ‘n’ roll, which is straightforward and very good here indeed, speaks for itself. Goldplate’s (and hence, the Acid Project’s) entry is reportedly assembled from a mix of very good-to-excellent (if a bit grainy) soundboard tapes, and an acetate of mostly the March 4 show, with three tracks from the next night sprinkled in. The result is a concert long on clubby ambiance, chummy dialogue between the band members and refreshingly un-canned banter with the audience (Mick Jagger: “Is this where the critics sit?”; “There’s the bottom pincher from last night!”; even an errant, shouted-from-somewhere “Margaret!” — as in Margaret Trudeau, the Studio 54-hanging, hard-partying wife of Canada’s Prime Minister, who attended the shows, and around whom rumors of a Stones fling were flung). 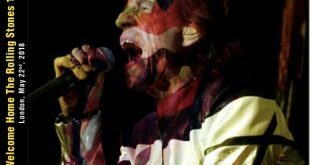 Throughout the proceedings, the Stones embrace a loose, limber, and playfully lascivious approach, and it’s a good glimpse of where the group’s stage show will be headed in the year ahead. As expected, we get a few holdover numbers from the Stones’ most recent albums at the time. 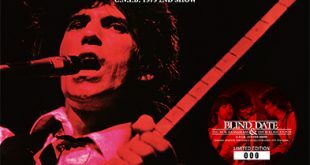 From 1976’s ‘Black and Blue” comes a gutsy, growling “Hand Of Fate” and “Crazy Mama,” the latter of which somewhat jarringly utilizes a second tape source emphasizing Billy Preston’s piano and Jagger’s vocal at around the three-minute mark to compensate for the first tape source abruptly ending. And from 1974’s “It’s Only Rock ‘n Roll” we get a riff-snorting “Dance Little Sister” that presages the tight twin guitar interplay that would define much of the stripped-down, propulsive sound of 1978’s “Some Girls” album. To my ears, despite being backed up here by longtime sideman pianist/organist Billy Preston and ’75/’76 tour percussionist Ollie E. Brown, the Stones’ only public performance of 1977 signals a band shedding the bloated excess and gimmicky trappings of its mammoth ‘75 and ‘76 tours and returning to the core chemistry of its beginnings. Speaking of that early history, it’s no coincidence that the real highlight here – as it was on the “Love You Live” official release – is the handful of blues covers (“Mannish Boy”; “Little Red Rooster”) and rock ‘n’ roll oldies (“Route 66″; “Around And Around”; “Crackin’ Up” done reggae style) the Stones break out at a show that feels and sounds as much like a spirited party jam session as it does a concert. Like the band itself, this material in particular benefits from a hot, sweaty club atmosphere with a hot, boozy crowd (the same could likely be said about some of the Stones on these nights). 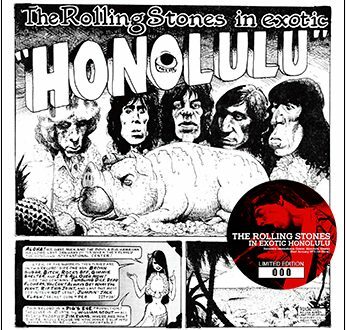 In fact, the lively, loping reading of “Little Red Rooster” here, which is capped by some tasty Ronnie Wood slide guitar work and an expressive vocal and harmonica from Jagger, finds the Stones sounding fresh again, and at their most genuinely blues-inspired in years. Just seven months prior, in August of 1976 — after more than a ten-year layoff from performing the Willie Dixon number that had given the band its first Number One song back in 1964 (the tune was a signature showpiece for slide guitar master Brian Jones) — the boys had surprised everyone by rousting the long-dormant rooster from his barnyard in time for the gigantic Knebworth Fair concert. Maybe they were feeling a bit nostalgic for their roots; soothing their souls after the various upheavals of the previous few years, and reminding us — and themselves — from whence they came. And how good it sounded. Maybe they just wanted to have fun. Besides those nods to the past, we also get a glimpse of the future, with an early public run-through of “Worried About You,” a falsetto-infused neo-soul ballad in the vein of “Fool To Cry.” Amazingly, the torched confessional wouldn’t appear on a Stones album until “Tattoo You” four years later. For fans of the song (and I’m one of them), the early, different lyrics, coupled with the fact that the Stones never incorporated this underrated track into their “Tattoo You” tours of 1981 and 1982, makes hearing this number in its nascent form a special treat. 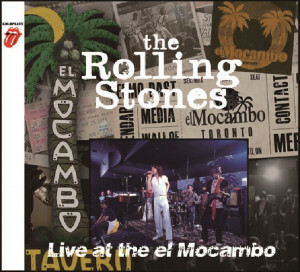 After all these years, I still wish that the Stones had seen fit to release the entire El Mocambo show(s) — which may or may not include roughly half a dozen more numbers that have never seen the light of day — as their official “Love You Live” album. But who knows? With the encroaching years and an eye toward posterity, the boys have been revisiting their vaults in recent years. So maybe someday we’ll get to hear what it was like to be one of those 300 lucky radio station winners on their way to hear April Wine and those pesky Cockroaches. In the meantime, this silver souvenir offers a ticket to gain backdoor entry inside the El Mocambo. I have this disc and it is a great listen. One of those that has remained in my CD player for a few days. Thanks for the insightful review as always. My pleasure, thanks for the kind words and glad you’re enjoying the show.